The Gardens of the Biennial Exposition are the largest area of parkland in the city and date from the Napoleonic period. 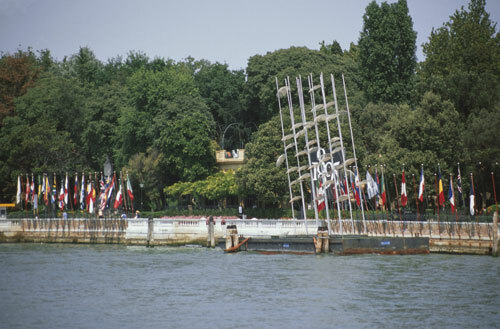 Pleasant paths winding through them, they are open to the public and site of the Biennale, the important International Exposition of Contemporary Art that has been held in this picturesque setting since 1895. The exhibits - each representing a different country - are displayed in pavilions, many of which are interesting examples of modern architecture.